Usually when you see a team about to attempt the impossible on the last play of a game, it’s the most exciting and comical moment of the game. The ‘lateral seen around the world’ this past Sunday was a perfect example. 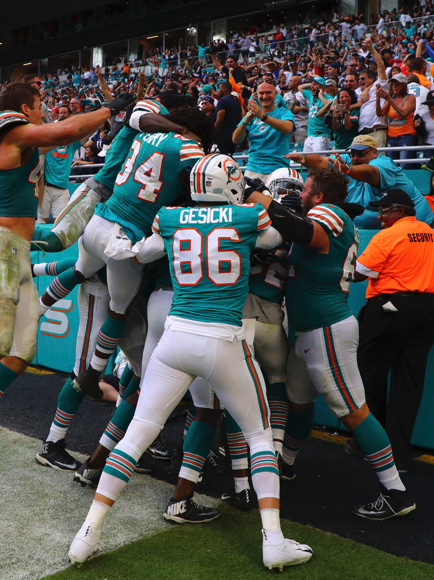 The Dolphins were at their own 30-yard line and everyone figured they weren’t going to attempt a hail mary. Well, except for New England who had Rob Gronkowski as their deep man for a hail mary situation. Either way Dolphins QB Ryan Tannehill threw a 10-15 yard pass and the laterals commenced. Kenyan Drake made one move inside and the race was on. The Patriots defensive effort on the play was comical as I was laughing hysterically the entire time. Look it up and see for yourself. You’ll get a chuckle out of it too. I’ve mentioned it before that at some point the most prolific offensive teams this season will hit a wall and a good defensive team will be able to stymie them. It happened with New Orleans against Dallas. And while Kansas City won in overtime, they were held in check against Baltimore. 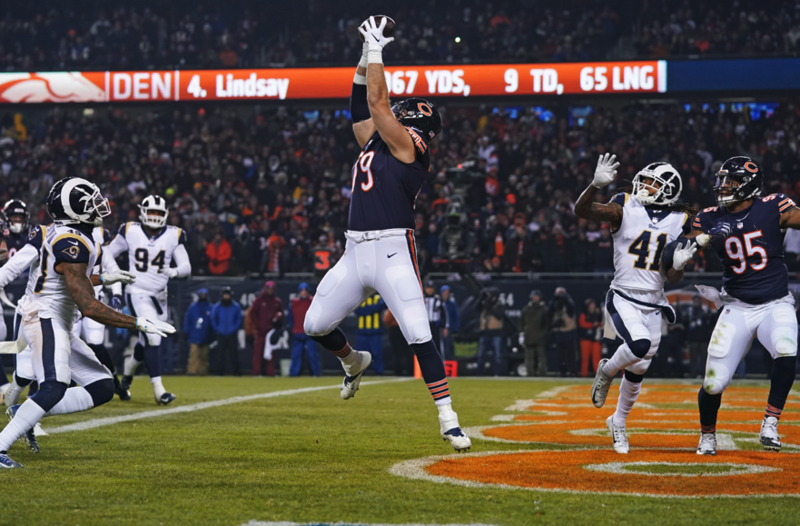 The Los Angeles Rams were the next contestant and they were shut down thoroughly by the Chicago Bears. I will say that the Rams seemed to abandon the running game at times in the game, but Todd Gurley was neutralized for the most part. One way to get him involved is in the passing game, but that was non-existent. The Bears played a great game on defense and they will be a force come playoff time. I only ask this question because with a playoff spot secured now they must make sure they get home field advantage now. New England has the tiebreaker on them and the Los Angeles Chargers are fast on their heels. 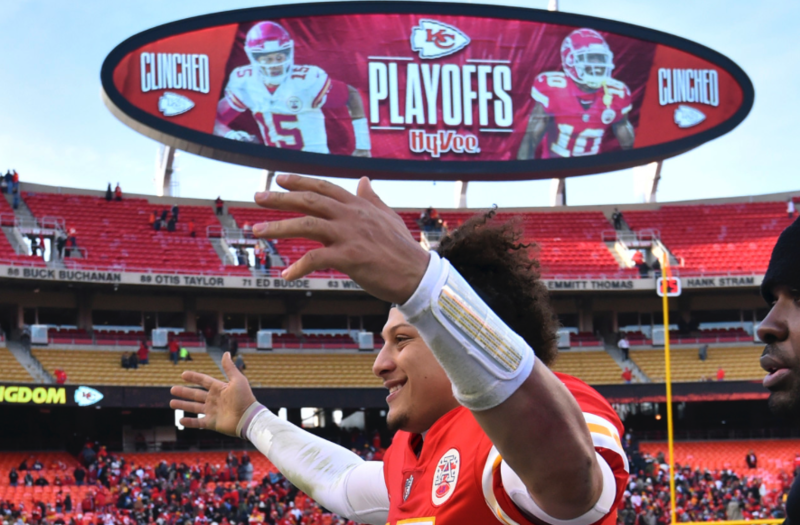 If the Chiefs do end up tied with the Chargers at the end of the year they do hold the tiebreaker on them, but do you want to finish tied with a division rival? They are a great offensive team and their defense has some great players, but as a whole they have only been tested once this year in that Monday night shootout with the Rams. They’ll need that home field advantage if they want to have a shot at the Super Bowl. This entry was posted in Football and tagged Bears, Chiefs, Dolphins, Football, NFL, Weekly Review.